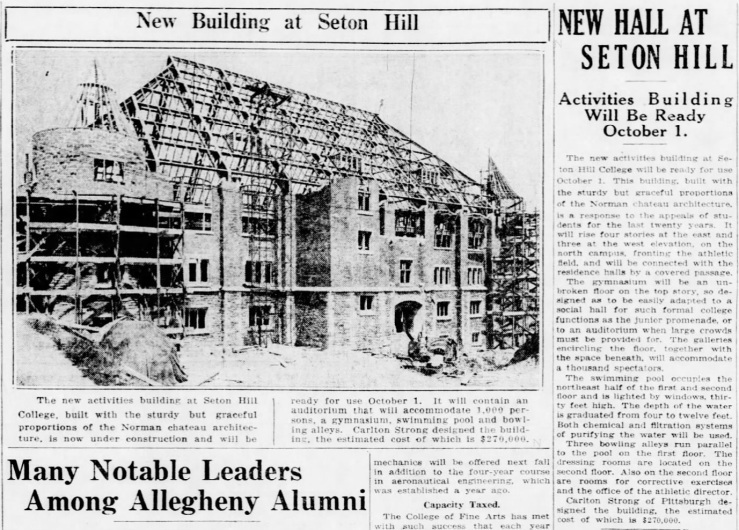 In the 1920s, Seton Hill College experienced tremendous growth and change, particularly around the time that the first priest President of Seton Hill was inaugurated. Reverend Daniel Richard Sullivan was born December 1, 1875 in Towanda, Pennsylvania. This Towandian pursued his education and the priesthood before finding his way to a small Catholic school in western Pennsylvania. A man with a vision for his own future would alter the fate of Seton Hill College in ways both traditional and unexpected. His namesake, Sullivan Hall, stands as a reminder of President Sullivan’s great forethought. 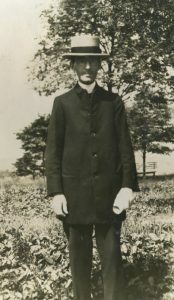 Reverend Sullivan first attended Susquehanna Collegiate Institute. Later, he went to Colgate University and Niagara University. Sullivan completed his studies at St. Charles Seminary in Rochester, NY. He was ordained June 12th of 1909 for the Pittsburgh Diocese. He was sent to Wilmington, Delaware for a brief period before being appointed to Holy Cross Church in Pittsburgh where he remained until assigned to Seton Hill. 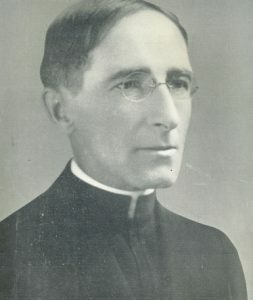 When Sullivan arrived at Seton Hill in 1911, he served as the Chaplain for St. Joseph Academy. He spent several years in that position before becoming the Dean of Faculty for the newly chartered Seton Hill College in 1918. Prior to Sullivan’s tenure, the Mother Superiors held dual roles as Superior of the Sisters of Charity and President of the College. So in 1925, Sullivan began his legacy as the fourth President of the women’s college. Sullivan was known in the academic community for his work in economics and sociology. In his presidency, Sullivan focused on the growth of the college as a premier institution of higher education. He had a particular concern for the library and often stocked the shelves with books bought from personal funds. He contributed more than 600 volumes to the library. Students, faculty, and the Sisters of Charity community have cried out on the Seton Hill campus, “Hazard Yet Forward!” Many have held onto that vision of hope for all. To continue on, to always look up with the knowledge that there will always be obstacles, but in order to overcome, we must keep moving. Sullivan chose the “Hazard Yet Forward” motto for the school when he gave a speech for staff and students. Sullivan’s main focus as president was to keep pushing for Seton Hill College to grow and flourish. 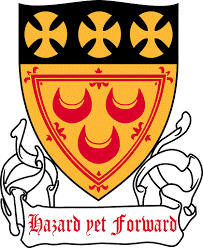 “Hazard Yet Forward” originally comes all the way from the 12th century; it is the motto of Clan Seton, the Scottish family heritage of St. Elizabeth Ann Seton. This first school motto rallied the entire community. Unfortunately, in November 1930, President Sullivan was involved in a debilitating car accident. His vehicle skidded across the Lincoln Highway near Laughlintown, flipped, and pinned him underneath. President Sullivan often had Seton Hill faculty drive him around as a leisure activity. Helen Cronin Schmadel had been the faculty member in the car with him that day. He was 55 years old, going on 56, and had already started suffering from unknown illnesses, but he was in the prime of his presidency. The accident left him with a broken spine and he was not expected to live. On November 23, 1930, a letter from Seton Hill was sent to the President of Cedar Crest College, William F. Curtis, informing him that “medical opinion does not permit us to hope that President Sullivan will be with us very long.” During this time, Sullivan suggested that Seton Hill inaugurate Reverend James A. W. Reeves as the next president. Four months after his accident, President Sullivan succumbed to his injuries in Westmoreland Hospital at 1:38 a.m. When Sullivan passed away, Reverend Reeves, who at the time was Vice President, became acting President. Reeves continued Sullivan’s policy of advancement and helped give the Activities Building the purpose that Sullivan had envisioned. Many students in the Seton Hill University community know little about the buildings they walk in, learn in, and even sleep in. In order for Sullivan’s idea of Seton Hill to grow, the campus itself had to grow. 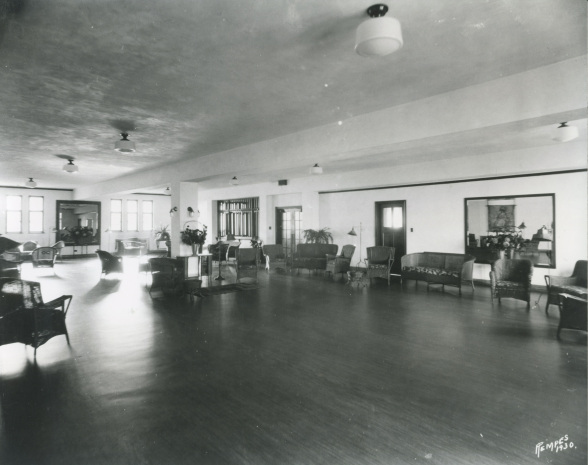 Seton Hill needed the Activities Building as it would “provide for the spiritual and intellectual requirements at the college.” (Sr. Electa Boyle, Mother Seton’s Sisters of Charity in Western Pennsylvania, 1945). A facility was required to house a recreation center. 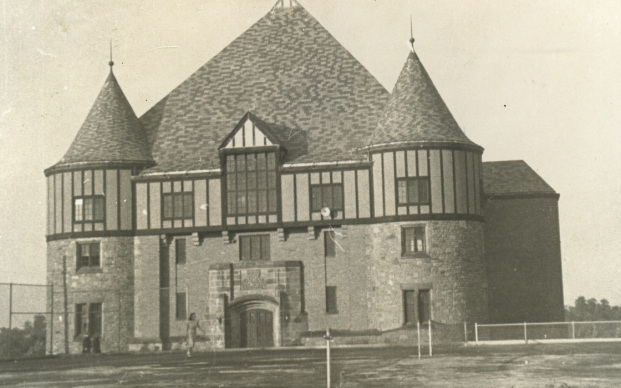 In the early years, this facility was called the “Activities Building.” Construction began in 1928, with a design by Carlton Strong from Pittsburgh, who, with Sullivan, had visited Seton Castle in Europe for inspiration before drawing up plans. In total, the new building cost around $270,000 and was completed the following year. On October 25, 1929, the Activities Building opened on campus. It earned the nickname the “Castle Building” because of its Norman Chateau-style architecture. 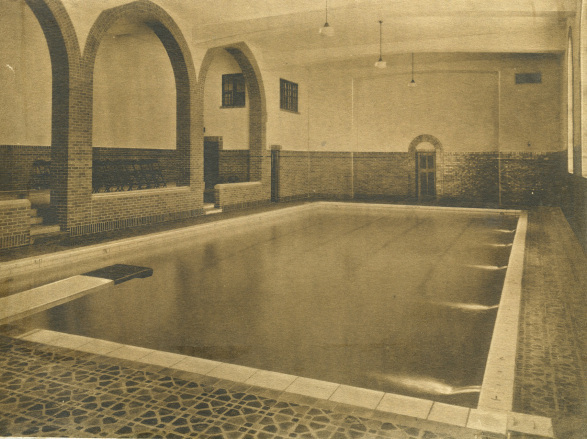 The Activities Building housed “a swimming pool, bowling alley, showers and a gymnasium” (Altoona Mirror, 1929). It also offered a lounge, student club offices, weight rooms, laundry rooms, athletic offices, café, and campus book store. In 1947, the building was officially named “Sullivan Hall” after President Sullivan. The death of President Reeves and the naming of the library in his honor prompted the change in title. Since the initial building of Sullivan Hall though, the campus has continued to grow and move forward. On April 19, 2005, the Katherine Mabis McKenna Center opened with a gym for sports teams, indoor running track, aerobics room, fitness, weight and athletic training facility, and athletic offices. It is connected to Sullivan Hall as Sullivan’s exterior walls serve as McKenna’s interior walls. President JoAnn Boyle saw the joint buildings as a symbol of continuity. This suited President Sullivan’s vision of moving forward. In honor of its namesake, Sullivan Hall will forever be a symbol of both the past from which it is inspired and of growth for the future. Seton Hill College celebration of the canonization of St. Elizabeth Ann Seton, 1975. 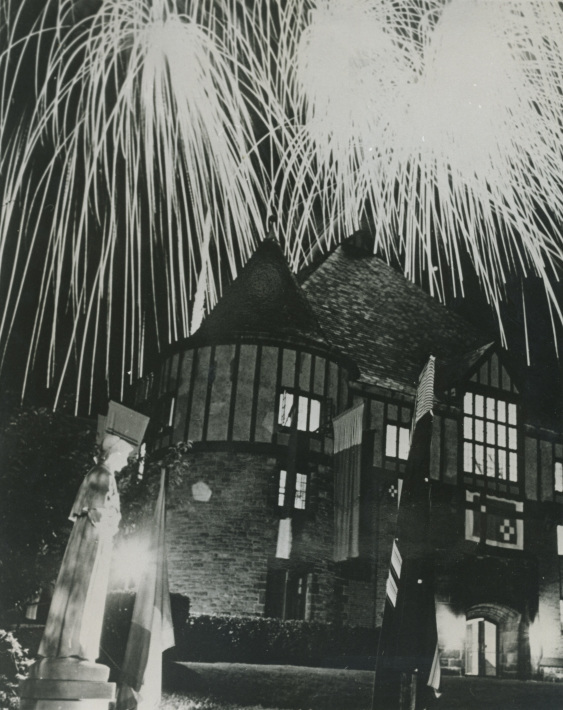 Fireworks erupt over Sullivan Hall.